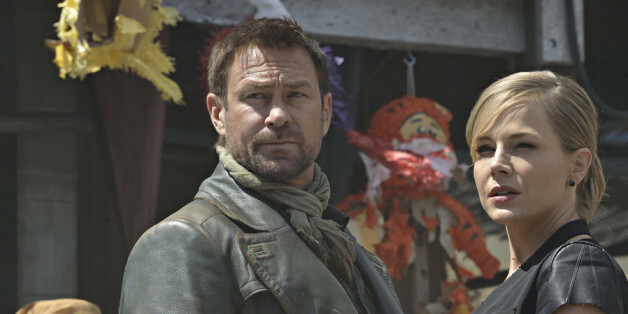 As it rolls into its second season on Thursday, Syfy's "Defiance" doesn't just cement its place as a well-made and enjoyable show, it continues to serve as a welcome corrective to some recent trends in TV sci-fi. Dramas with sci-fi elements can be a lot of things: A mirror to our societies and an examination of our faults from the remove of a different time, place or galaxy; an exploration of difference, identity and discrimination; an adventure tale (possibly with post- or pre-apocalyptic elements), and so on. There have been shows like "Battlestar Galactica" that have gone to the dark side of science fiction to great effect, but those kinds of dramas have been few and far between lately. In the last few years, too many sci-fi-tinged shows have erred by giving pride of place to balky mythologies ("The Event") or dull characters ("Revolution"), or the shows have been so feather-light or procedurally oriented that, despite their diverting qualities, they barely deserved to be in the genre at all ("Warehouse 13"). "Defiance" is defiantly sci-fi; it owns that designation and does a fine job of expanding its world-building in its second season. All you really need to know, if you're new to the show, is that a while back, various alien races arrived on Earth and there was a lot of conflict and terraforming as a result. Eventually, peace broke out and various city-states and regions formed their own governments. In the city of Defiance, which is built atop St. Louis, different races live in a sort of harmony, but there are many internal and external pressures working on various individuals and groups. One of Defiance's biggest problems is the Earth Republic, a muscular governmental entity that arrived in town at the end of Season 1. It helps to think of "Defiance" as a Western with aliens, and as far as the locals are concerned, they don't need a bunch of E-Rep city slickers telling them how to run their town. The new E-Rep overlord, Mayor Pottinger, is smartly turned out, conniving, condescending and very smart: He's basically everything you'd want in a capable villain, and James Murray plays him with precision and élan. And that gets to the heart of one of the reasons I enjoy this show. What's often missing from dramas of any kind these days is something that "Defiance" has in abundance: A sense of fun. I'm fully aware that this is a weird thing to say, given that there is violence in the first three episodes and that, in general, life is often unpleasant for jailed mob boss Datak Tarr (Tony Curran), his son Alak (Jesse Rath), his delightfully wily wife Stahma Tarr (Jaime Murray), former sheriff Nolan (Grant Bowler) and former mayor Amanda Rosewater (Julie Benz). Even good old Doc Yewll (Trenna Keating) -- the cranky town medic, who (of course) sports lizard skin and a major attitude -- is living a grim life alongside her unlikely pal Datak in Defiance's makeshift prison. Those on the outside don't have it much better: Nolan spends much of the first three episodes trying to attend to his adopted daughter Irisa (Stephanie Leonidas), but she's going through a special hell that she can't explain to him. Good times! In all seriousness, the characters' dilemmas are well constructed and the show does not play them for laughs (even though "Defiance's" sly sense of humor is often in evidence). And yet a palpable sense of energy and forward movement thrums through the show. Even if the prospects for certain characters are sometimes grim, the resilient town is not. As the season begins, almost every character's life is unsettled and challenging (and if I have one quibble, it's that a few story turns and character developments almost happen a little too fast). But "Defiance" itself has a sureness of purpose that makes it a rewarding place to visit. That's mainly because the show is grounded by a network of relationships and a sense of community that keeps it from falling into the easy traps of cynicism or the dead end of despair. These people have goals, ideas, energy, dreams and each other; they are building a new world, not sleepwalking through the shattered remains of an old one. Unlike most too many recent sci-fi shows on various networks, which often feel like they fell off of a grinding, drab assembly line, "Defiance" has both energy and heart (by the way, another Syfy drama that premieres Thursday, "Dominion," has wily performances from Anthony Steward Head and Alan Dale but, so far, not a whole lot else). The good news is, "Defiance's" writers know that nobody would care about this town, no matter how much lizard skin it contained, if the characters didn't pop. They do. Pottinger is an excellent addition to the cast, as is Anna Hopkins as a go-getter E-Rep soldier (amusingly and appropriately, she has no time for Nolan's charming-rogue act). But the show's talented core cast rightfully take center stage in these early episodes. Now that the Season 1 work of setting up the characters has been done, the entire ensemble tears into the deeper dilemmas of Season 2 with great gusto and commitment. It's a treat to see. But Stahma Tarr fans, brace yourself. My HuffPost TV colleague Chris Jancelewicz visited the set and spoke to the "Defiance" cast about what's to come in Season 2. Also, Ryan McGee and I talked about "Dominion" in last week's Talking TV podcast. "Defiance" returns 8 p.m. ET Thursday on Syfy. 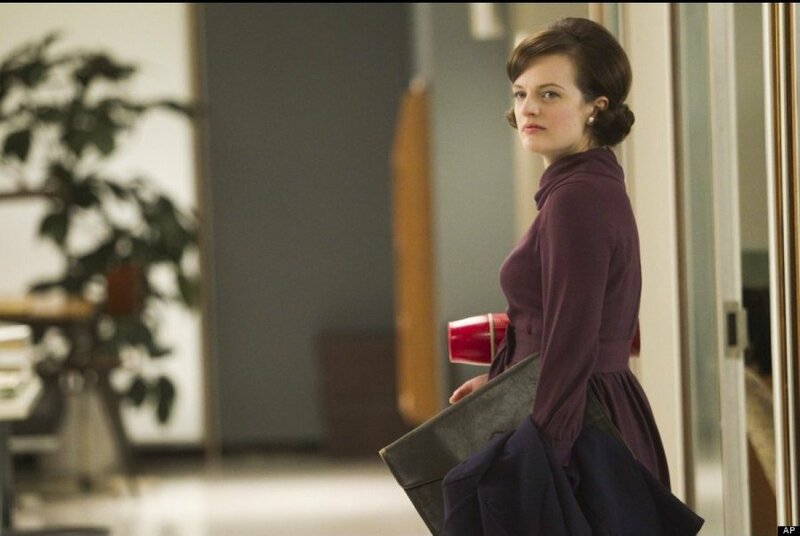 She didn't have an easy start as a secretary at Sterling Cooper, but Peggy Olson (Elisabeth Moss) has certainly worked her way up on the '60s era drama. 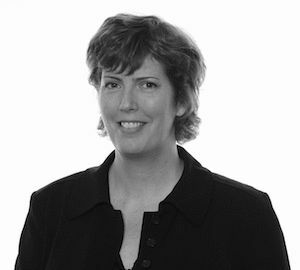 Peggy was consdiered one of the biggest creative geniuses behind the company (before she left last season), although she certainly lost a few nights of sleep in the process.